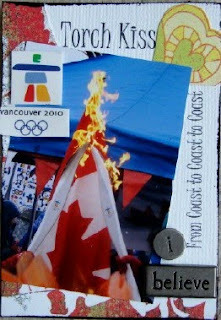 Nora posted a great challenge on her blog and in the Scraptivity forum, to create an ATC (Artist Trading Card) around the theme of the Olympics. I've never made an ATC so this was a fun challenge to take on. ATC size 2.5" X 3.5 "